Organizations like the Institute for Creation Research declare that fossils prove a young earth and in no way contradict the creation account of Genesis. In fact, religious "scientists" and apologists worldwide declare that secular science isn't just incorrect about dinosaurs, fossils and the age of the planet, but that it might be a puppet of Satan himself, working to mislead a generation into accepting what creationists call "The Religion of Evolution." 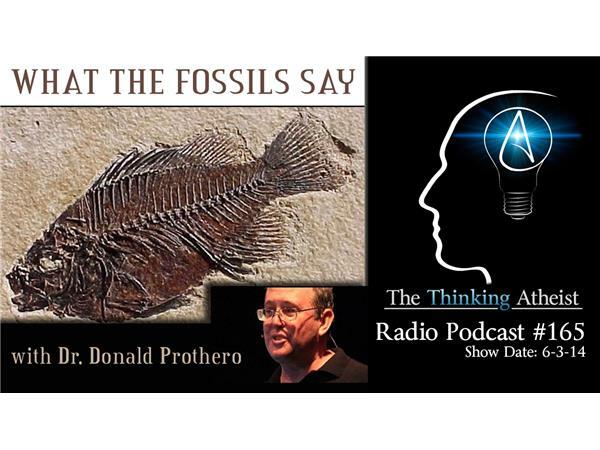 In this show, we welcome special guest Dr. Donald Prothero, professor of geology at Occidental College, expert in physical and historical geology, sedimentary geology and paleontology, and author of several books, including "Evolution: What the Fossils Say and Why it Matters" and "Reality Check: How Science Deniers Threaten Our Future." So...what do the fossils say? Let's talk to a legitimate scientist and find out.